In an economic environment that rewards efficiency, making use of data and technology is critical to success. Nearly every industry has seen a move away from its established paradigms and a focus on doing things in a global context. Innovators and early adopters have been the biggest beneficiaries of this, while many companies that remain stuck in their ways struggle to catch up. Transportation and logistics are no exception. Today, your success in these fields comes down to how effectively you leverage technology and big data to make informed choices about who you partner with and how you run your business. Unfortunately, not every organization has these resources available in-house. That’s where Rock Technologies comes in. Rock Technologies is a dedicated IT department for your logistics team. We deliver visibility, simplified data access, analytics and management tools from a team of IT and project management experts with experience in logistics and transportation. Our clients recognize significant cost savings through streamlined processes, better decision-making and data consistency. And because our team knows the industry and are skilled in project management, the solutions we deliver are implemented quickly and efficiently. Rock Technologies is a logistics software company that provides its clients with a combination of proven technology and advanced operational and design expertise. Our team functions as an extension of your current operation, matching you with tools and services that we have tailored to the needs of your business. We help integrate software with your overall transportation management system in a way that makes sense and minimizes the training requirements for your team. We can also connect you with customer-facing software tools that optimize the order lifecycle and provide a more professional point-of-sale experience. In addition to their operational benefits, our software and services are also highly effective supply chain data management tools. Our programs collect useful information at all stages of the sales cycle and make that data accessible with customizable reporting tools you can use to create sales forecasts, identify trends and find more reliable carriers. 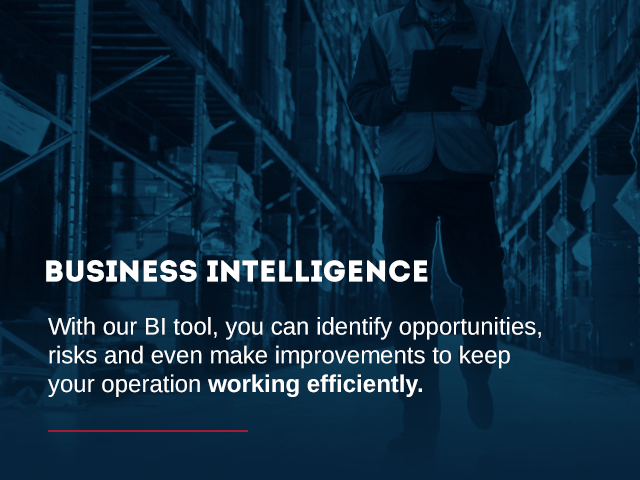 With our BI tool, you can identify opportunities, risks and even make improvements to keep your operation working efficiently. Analysis can be performed as a one-time evaluation or set up as regular reporting regarding volume, performance, improvement and even financials. Looking to understand your business at the SKU level? Our efforts in driving cost allocation to the SKU has given our clients big data visibility on their “cost to serve” enabling sales modeling and forecasts that drive their growth. Needing support in analyzing your data? Our team of professionals can support measurement of your business the moment a purchase order is placed to the moment a customer takes possession. With Rockfarm, you can affordably and quickly visualize your data with tools that format the information for ease of use in everyday execution. Our Business Intelligence is your data, your cloud and our expertise. Most companies utilize a variety of applications and systems whether they are packaged or propriety. Integration allows clients to streamline their functions and maintain data consistency. Rockfarm has proven expertise in connecting technology to drive process improvement and lower cost for our clients. Our expertise goes deep as a MercuryGate Logistics Integrator. Clients can be confident that they will maximize their return on investment while utilizing existing company software. Companies with an interest in TMS now have the expertise and resources to devote to development and implementation by utilizing Rock Technologies as an extension of their technology team. Harmonizing your supply chain and creating additional value add processes will empower your operations and sales teams to grow your business. In addition to integrator services, Rock Technologies has created value software packages that improve your shopping cart functionality and promotes a more positive customer experience at the point of sale. Looking for order lifecycle improvement? Allow us to showcase our project work with demand planning solutions. We also provide our clients the ability to customize interface functionality by user type or location. The data and systems are there but sometimes it’s complicated to access them. 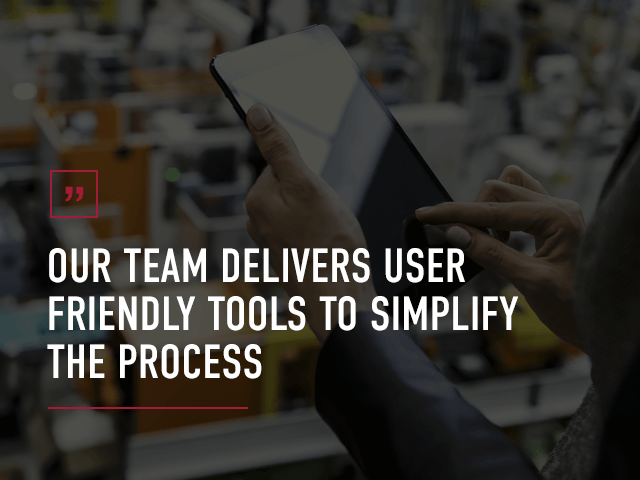 Our team delivers user friendly tools to simplify the process. We, also, provide our clients the ability to customize interface functionality by user type or location. The success of any project is dependent on all the functions and tactics coming together in a coordinated and timely manner. Our team of professionals has the tools and experience in managing successful IT and non-IT projects. This also includes working cross-functionally to make sure that all stakeholders and contributors are involved and moving through the stages of productive design and implementation. Supply Chain Glass can store the year-over-year KPI’s in a hosted or deployed data warehouse solution that precisely gathers all information that is important to you and your company. 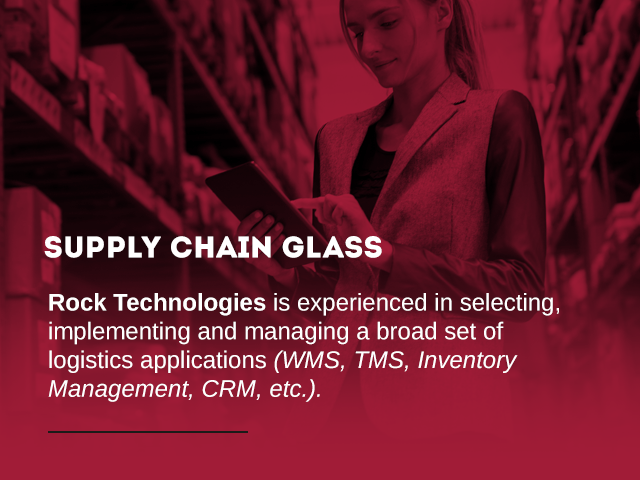 Rock Technologies is experienced in selecting, implementing and managing a broad set of logistics applications (WMS, TMS, Inventory Management, CRM, etc.). This takes the burden off our clients to explain industry terms to an internal IT department or 3rd party provider. In addition, we have expertise in building a data warehouse to ensure your data is accurate and accessible from any of your applications. Our team of cross functional professionals have experience in a wide variety of business disciplines from programming and networking, project management, customer service, sales and marketing. This combination of skills enables us to manage the details within the larger context of your business. 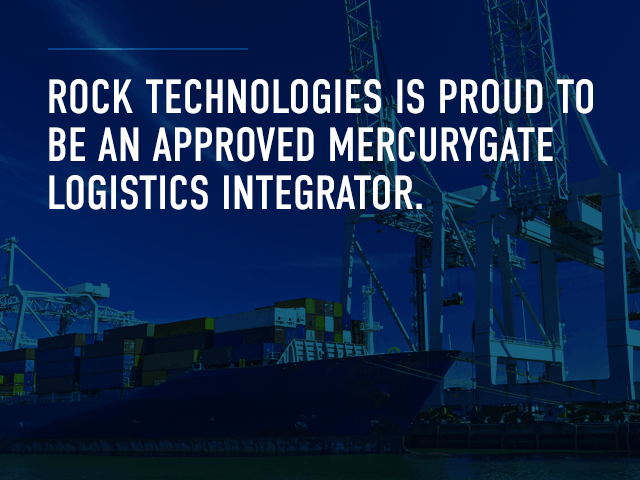 Rock Technologies is proud to be an approved MercuryGate Logistics Integrator. The Logistics Integrator program helps connect businesses with managed TMS solutions they can trust. Using the MercuryGate platform as well as our proprietary software, we provide a full range of consulting and business process outsourcing services. MercuryGate is just one of the many organizations we’ve partnered with to expand our services and develop more innovative transportation and logistics software. Interested in hearing about some of the organizations who’ve benefited from working with us? Visit our Client Experiences page to read testimonials and detailed case studies from other Rock Technologies customers. Rock Technologies is part of the larger Rockfarm family of products and services. As a result, our team has easy access to an exclusive selection of supply chain management tools as well as advice from longstanding experts in this field. Our collective expertise spans technology, IT and the transportation industry, making us a flexible partner to any organization that wants to become smarter and more cost-effective. Ready to get started with our transportation and logistics software? The first step is to contact our office and schedule a consultation. Call us at 815.573.0155 or visit our Contact Us page to submit a request today.